Pronounced 'Ways', this motorcycle app is great for all riders. Waze uses traffic patterns from other Waze users on the road near you and informs you of trending traffic patterns. It can update you instantly when Traffic patterns change and give you a better route. You can link your route to other people so they can check your progress, so there is no reason to call them and say that you're close. You can also link your route with other riders you are with, and they can see where you go if you fall behind or if you are in an accident. 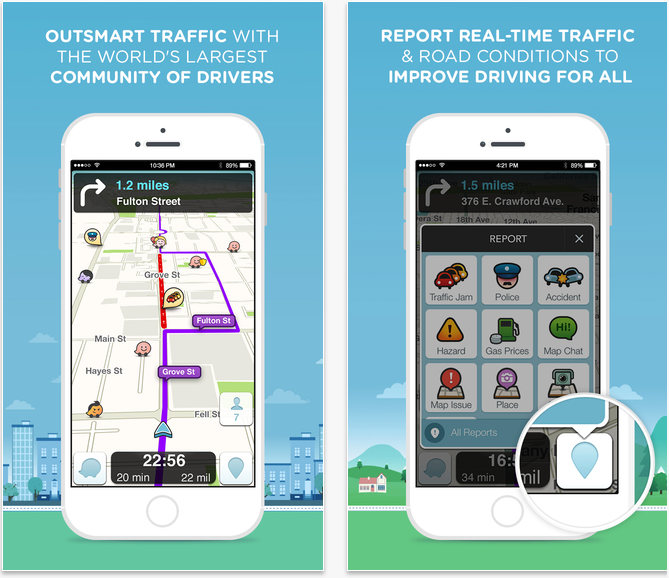 Waze just makes riding easier, safer, and simpler. MinuteCast is the perfect app when weather is a concern. 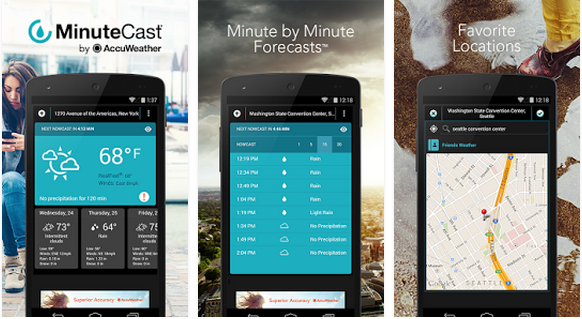 The App uses information from other MinuteCast users, feedback, and weather patterns for your exact location to tell you up to date and precise information. This should be the first thing you check before heading out and when it starts to rain. It will tell you if the rain will stop, if it will get worse, and what location near you is a better spot to head to. 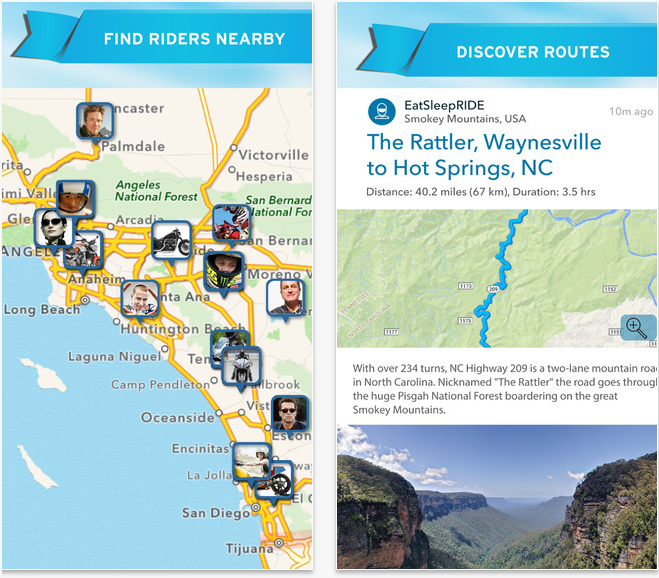 Oddly enough, the Best Biking Roads app is an App that shows you the Best Biking Roads. Crazy, right? The name aside, this app is really good. It can show you Roads near you or near a specific location. Most of the Routes you find on the App are adorned with pictures and videos showing you both why you may want to ride on road and what you will come across as you go. 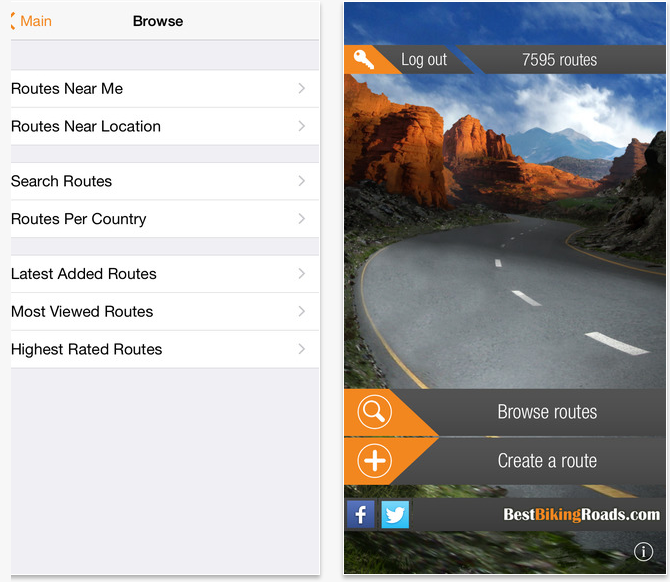 This app is perfect for when you want to explore new locations and new roads. Crashlight is a feature of EatSleepRide and is one of the best things that came from it. It is clearly in part of their government funding. 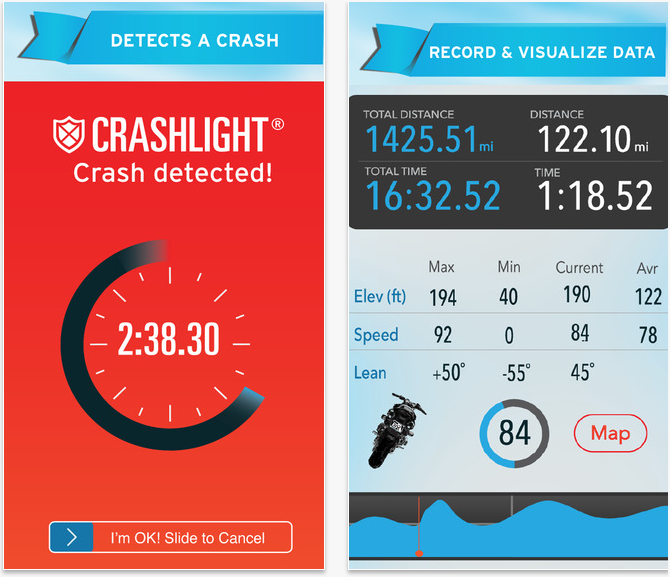 This App uses the gyrometers and accelerometers within your phone to detect when you have a crash. You have three minutes to turn off the alarm on your phone. If you do not, it sends out an emergency text, email, or call to 3 pre-listed contacts on your phone. This App can save your life.